Since late 1990s, Billy Roisz dealt intensively with video and sound. Her work focuses on the links and gaps between visual and auditive perception. 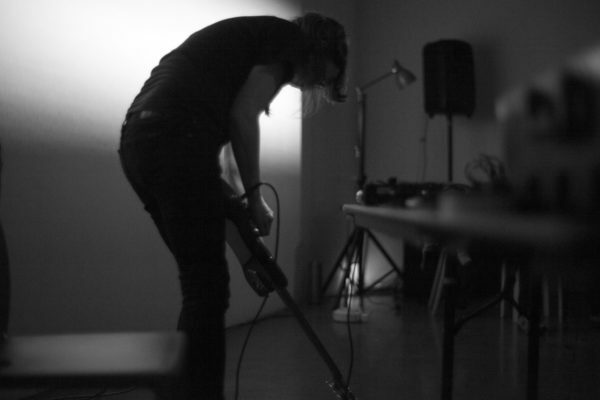 Roisz questions the interaction between sound and image, the interchangeability or unity of the electromagnetic signal in the generating machines which creates image or sound. The realisation of her experiments takes place in live performances, single screen works and audio-visual installations, solo or in collaboration with musicians of experimental music and noise as well as composed new and old music, dance and theatre. Her videoworks are distributed by sixpackfilm. She is co-organizer/programmer of annual REHEAT festival. …It’s music that’s heard as much in the pit of the gut as it is in the ear canals…. … she manages to organize corrosive flow of noises by tantalizing vortexes of spooky mid-frequencies, progressive saturations over tonal curves which look like following hyperbolic trend, sonic peptic ulcers, fermentations of stunning drones, thunderous flashes of noises which broaden over the sonic sphere and high-pitched sharpening death throes of sound.